Designed for sports camcorders, tablets, and smartphones, the 256GB Professional 667x UHS-I microSDXC Memory Card from Lexar features a storage capacity of 256GB and supports maximum read speeds of 100 MB/s. This card has also been designed with the V30 Video Speed Class rating, which guarantees minimum write speeds of at least 30 MB/s. All of this allows for users to immerse themselves in extreme sports videography and photography in 4K, Full HD, and 3D. 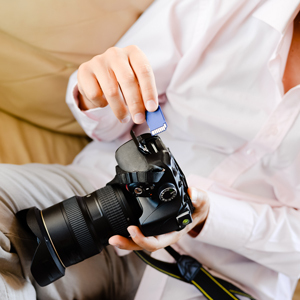 While this card has been designed for cameras that are UHS-I / V30 compatible, it may be used in devices that do not support UHS-I / V30. However, bear in mind that this card will then default to your device's speed class and bus rating, such as UHS-I and U3, which also supports minimum write speeds of 30 MB/s, UHS-I and U1, which supports minimum write speeds of 10 MB/s, or Class 10, which also supports minimum write speeds of 10 MB/s. 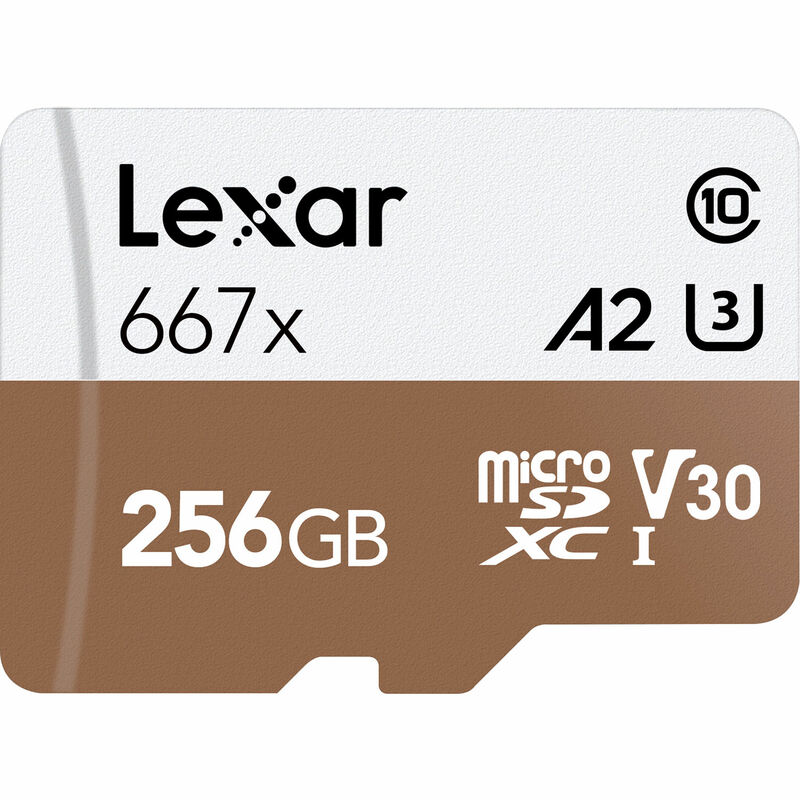 Aside from support for UHS-I, V30, and U3, Lexar also built this card with support for the Application Performance Class 2 (A2) spec, which includes optimizations to give Android users an improved mobile experience, delivering faster mobile app performance. The A2 spec allows the card to manage random read input-output access per second (IOPS) operations so it can quickly open apps and process accompanying tasks, such as audio, graphics, saved profiles, and in-app permissions.